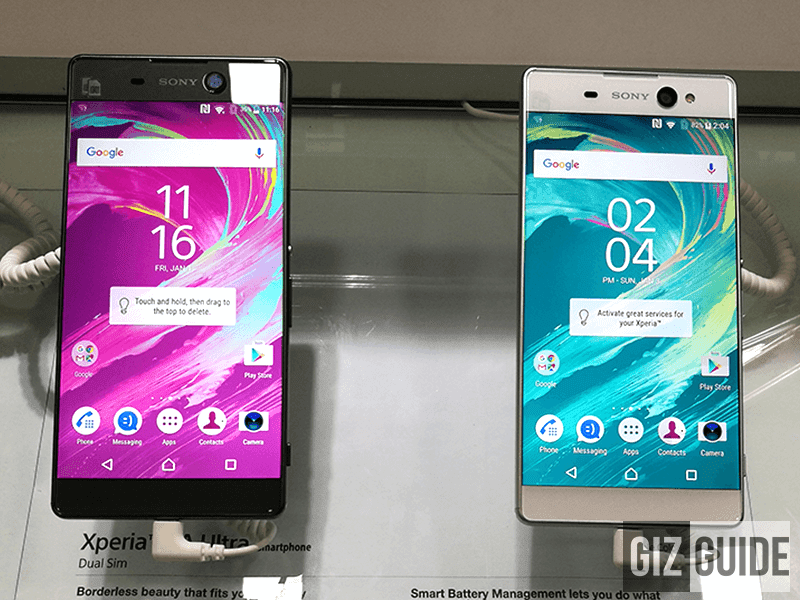 Sony Xperia XA Ultra Silently Hits PH Stores, Priced At 19990 Pesos Only! Home / mobile / news / sony / Sony Xperia XA Ultra Silently Hits PH Stores, Priced At 19990 Pesos Only! First announced few months back, we just spotted the Xperia XA Ultra now on retail at several Sony stores here in the Philippines. If you can recall, the Xperia XA is the biggest handset from the new Sony X line. It boast a large 6 inch FHD screen with slim bezels and gorgeous 2.5D curved glass. Running the show inside is a Helip P10 octa core chip clocked at 2.0 GHz paired with Mali T860 GPU. It also has 3 GB of RAM, 16 GB of expandable internal storage, and 2,700 mAh of battery capacity that's tuned to last for more than a day of use. Camera-wise, that's probably the main highlight of this handset. It goes with a 21.5 MP w/ Hybrid AF and LED flash at the back and a 16 MP camera in front with rare OIS function that should be great for selfie videos. Then its complete with WiFi, 3G, LTE, Bluetooth 4.1, NFC, GPS, A GPS, and dual SIM card slots. This phablet loads with Android 6.0 Marshmallow as well. Priced at just 19,990 Pesos, the Sony Xperia XA Ultra is one of the more appealing midrange phablet that's readily avialable in our country. This should be great for those who wants to experience the great photography experience due to its powerful main and selfie camera.